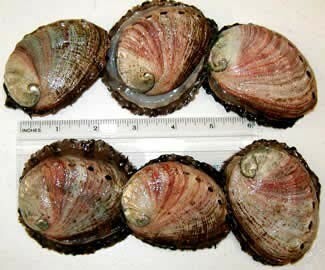 Red abalone that are grown in abalone farms in Baja California. 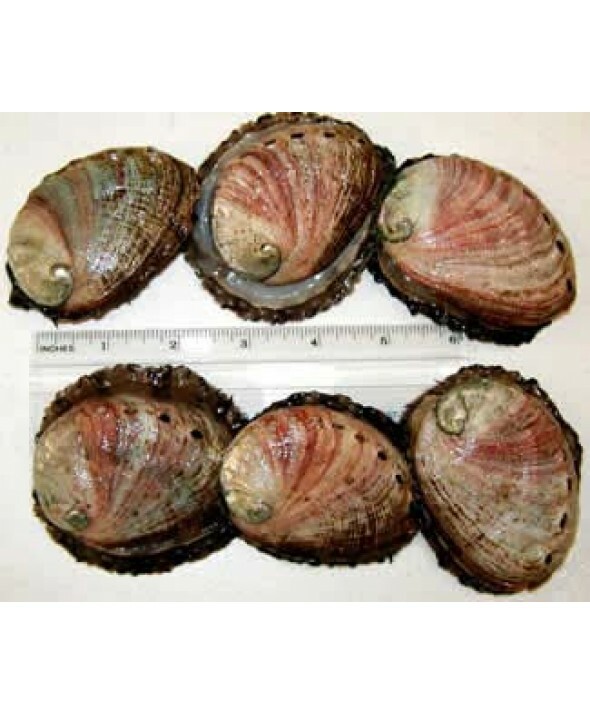 There are about six abalones per pound (in their shells), and they are 2 to 3 inches in length. Abalone are kept alive in tanks and carefully shipped to you with extra oxygen and proper packaging so they arrive at your door fresh and ready to eat.